Live every week like it’s Shark Week. The US military certainly does. 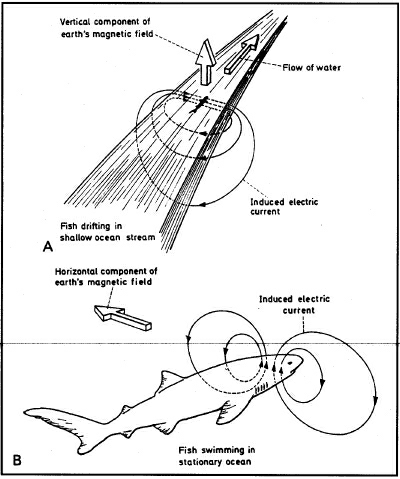 Attempting to be topical, this week’s hot doc is a DARPA (Defense Advanced Research Projects Agency) sideshow entitled “Shark Sensory Capabilities.” It explains, essentially, that sharks have a type of “sixth sense:” the ability to sense and understand electromagnetic fields. And of course, the military is willing to pay big money to research this phenomenon with the hope that it will advance the United States’ warfighting capabilities. DARPA explains Induced Electric Current. The “exploitation” has already begun. In 2006, The Naval Undersea Warfare Center, working with Boston University marine biologists, developed “a fish tag whose goal is attaining behavior control of host animals via neural implants.” That’s right, the US military put implants into sharks’ brains and can now control the animals remotely. Ostensibly, these sharks could be used to survey ships, submarines, mines, or undersea cables. Of course, this is not the US Navy’s first run-in with sharks. The largest shark attack in recorded history occurred on 30 July 1945 when Japanese torpedoes struck and sunk the USS Indianapolis. Approximately 900 sailors donned live jackets and went into the sea. At sunrise the next day, the shark attacks began. The men were not rescued until five days later. 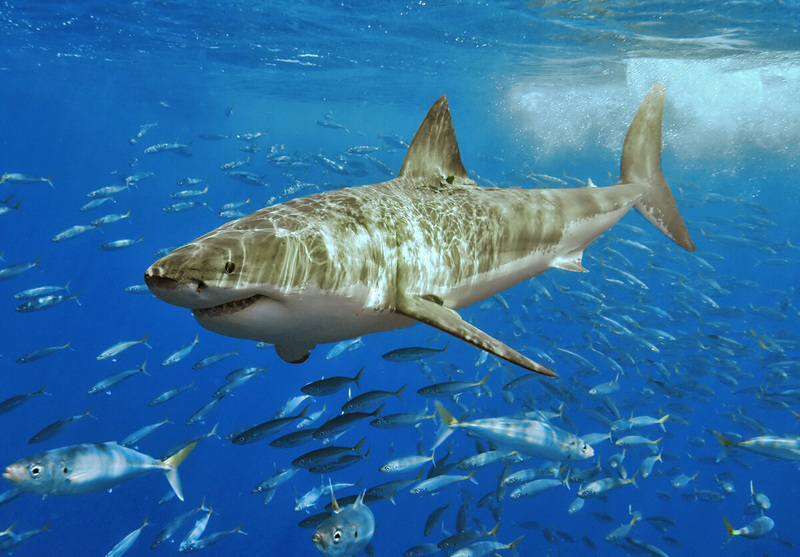 By then, 579 men had died, an unknown number “chewed to pieces” by sharks. In the film Jaws, the shark hunter Sam Quint claimed he was an Indianapolis survivor. Research on sharks presumably continues at the The Naval Undersea Warfare Center, where it is highly classified. 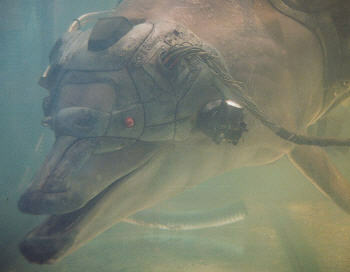 Technovelgy.com pointed out that this shark research errily resembles William Gibson’s scifi short, Johnny Mnemonic, in which the military invented a cyborg dolphin named Jones. It’s also reminiscent of Acoustic Kitty, the (probably fake) Taliban Jihad Monkeys, the (probably real) Morocan “Coalition of the Willing” monkeys, and certainly the Navy-trained dolphins which served (?) in both of the Gulf Wars. Despite lots of looking, I couldn’t find any dox about sharks with lasers. ← Document Friday: wikileaks, Raw Intel, and the Rise of the Taliban. can’t believe you didn’t mention Deep Blue Sea here… the acme of shark-related filmmaking, really.